Textured Stripe Plus Size Shirt is rated 4.7 out of 5 by 20. Rated 5 out of 5 by BarbWHH from Versatile! Purchased as result of going to style show. Will wear as a jacket with sleeveless top underneath. Coordinating color choices are endless! Fit is comfortable and easy care. Great for travel. Rated 5 out of 5 by Seniorchick from So cute! 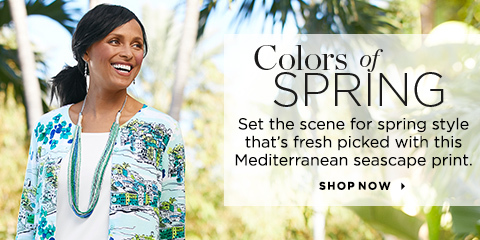 The colors in this blouse really caught my eye online. So glad I ordered it because it is even prettier than pictured. I am really looking forward to wearing this blouse. Rated 5 out of 5 by Shelley! from Soft shirt This is a soft material and was cool to wear with the hot sun,. Rated 5 out of 5 by LUCYGOOSY1317 from This shirt I bought will go with anything I got. I like this top it fits me like a charm I love it. Rated 5 out of 5 by 3kjd from Great shirt Fits well, love the little bit longer length. It looks good with jeans and the royal blue and the pink cropped pants I bought at the same time! Rated 5 out of 5 by Anna from overseas from nice and light for a warm day For a trip to Tucson, is was just right: light, comfortable and it looked very nice! Rated 5 out of 5 by Peems from Can wear with many things This blouse is comfortable and looks great under a sweater or over a tank. It has many soft colors and can be worn with dressy pants or casual. I love it!